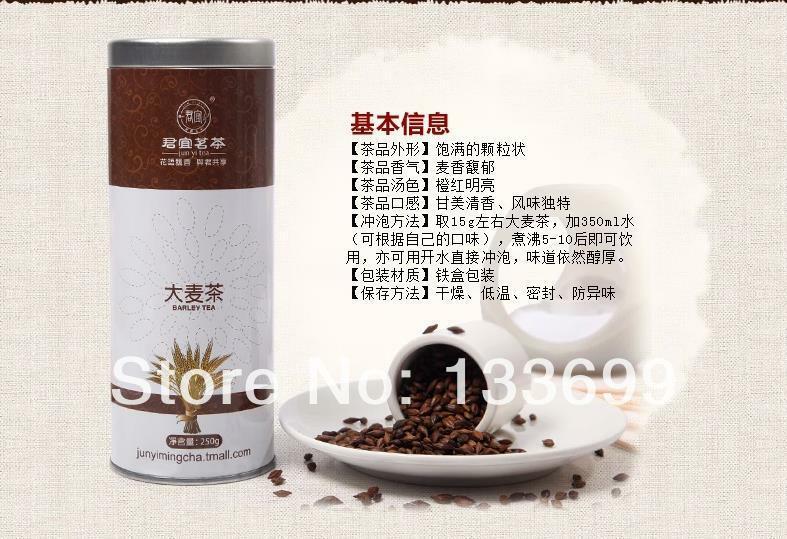 250g berley tea!Healthy drink!Coffee of the east! 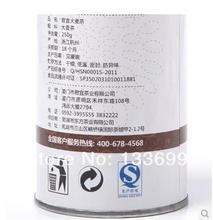 Barley tea is a tisane made from unhulled roasted barley. It is a popular beverage in Japan and Korea. Roasted barley tea is called Mugicha in Japanese, and Bori cha in Korean. It is a refreshing beverage with a mild, slightly nutty flavor that doesn't require any sugar or lemon. It is a good caffeine-free coffee substitute. Roasted barley tea helps cleanse the body, increase the fluidity of blood, and lowers cholesterol levels. It is also a natural antacid. If you interest in any items in my shop,just contact with me!! I will try my best to give you better price if you chat with me by Trademanager or write email to me. And if you want to buy different items in my store and you need less than MOQ (Min. Order), you can also contact with me. I will allow you to mix order to pay. Thank you very much!! 2).Payment:	1).Before placing your order, please confirm details with us if you have request on items. 2).Please make payment within 3 days of order if possible. 3).We will just ship the goods to you according to the address that you writed in AliExpress,if you want to change,you must notice me of it in advane. 3).Shipping:	1).Your order will be processed in 2-3 days after your payment. 2).We are not responsible for any delay of orders if we have shipped them.Because the Speed of shipping is out of our control. 3).China Post Air Mail will take about 15-30days to arrive; EMS need 5-8 days to arrive; DHL and UPS will take 3-5 days to arrive. If the order is during the weekends,it will take 1-2 days longer.Thank you for your understanding. 4).Any import charges or fees are the buyers’ responsibility. 5).Feel free to Contact us with any question,we will offer you satisfying answer.Don't submit a dispute optionally.Thank you again!! 4).Feedback :	1).We rely on AliExpress's Feedback and customers' satisfaction to succeed. Therefore,your feedback is extremely important to us.Please leave 5 star in feedback to us if you satisfied with our goods and service. We will give you best price and better service when you make an order next time. 2).Please email us before leaving any negative feedback or opening any dispute on AliExpress. We will help you to resolve the problem.Please give us the opportunity to resolve any problem.We understand the unhappiness you might have if the order go wrong,but we will try our best to give you the satisfying results. 3).We care about our regular customers,and we will always be trying to help you. Hope to establish long business with you... 4)In shipment,the goods maybe damaged by express company or customs,so if you want to get refund if your items are damaged seriously,please take some detailed photos of them and weigh them timely.Before shipping them,we will check the quality and quantity carefully,then weigh them exactly,so if the weight is reduce obviously,it?s possible that express company or customs took them away. Thank you for your well- coopration!! !